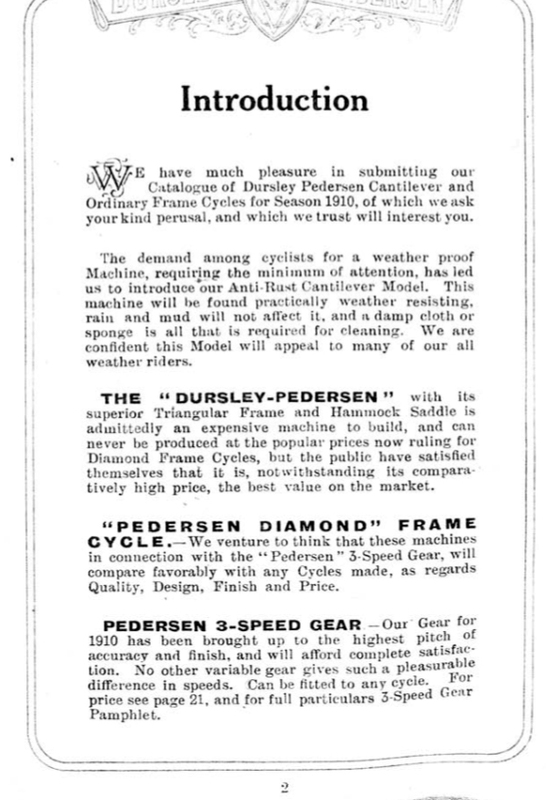 The Dursley Pedersen did not make enough of an impact on the extremely competitive bicycle market in the Edwardian era when it was made, with the result that its production run was cut short. 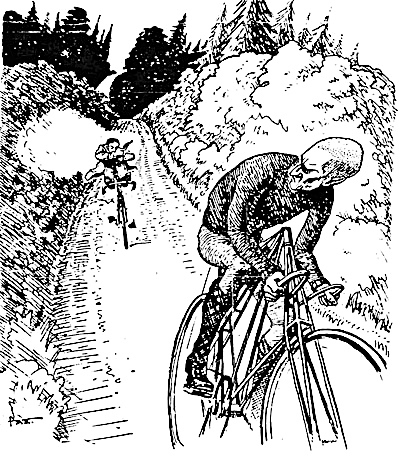 However, a hundred years later, the model has become one of the most sought-after vintage bicycles among collectors. Not only is it delightfully eccentric to look at, but its lightweight frame makes it easy to use and the innovative saddle design makes it the most comfortable old bicycle to ride. This particular machine was restored thirty years ago by well-known Brighton bicycle builder Les Rigden at his workshops in Upper Gardner Street in the historic ‘lanes’ area in the heart of Brighton. Using a low-bake oven, the frame was repainted in maroon; all nickel parts were re-plated; the saddle was re-strung and fitted with a reproduction removable leather cover. It is fitted with 26″ Westwood rims. The rare DP three-speed hub, and all other mechanical parts, were fully serviced. The mudguards were not repainted, so as well as shiny nickel and frame, it has an attractive patina to it too. The previous owner mostly used the bike for static displays since having it restored, so it has had very little use since its renovation. As a result it is still in superb condition, and ready to ride. It sports a top-of-the-range Lucas ‘KORA’ (King of the Road) front lamp, which is stamped ‘212’ (meaning February 1912), brass inflator pump, brass bell and saddle bag. The Dursley Pedersen marque has no connection with my home town of Brighton apart from this particular machine’s 1980s restoration by Les Rigden. 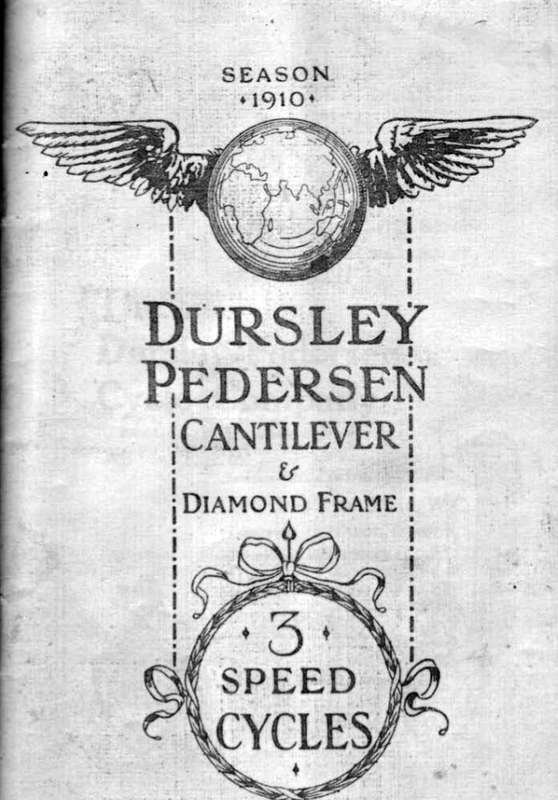 However, I did find an interesting photo (below) of a 1914 Dursley Pedersen fitted with a Wall Autowheel, which took part in a London-to-Brighton Veteran Motorcycle Run in the 1950s. (And I subsequently discovered who owned it).